Simulant Diamonds vs. Lab Grown Diamonds - What's the Difference? When you are in the market to purchase a diamond, the last thing you want to happen is to make a poor investment. 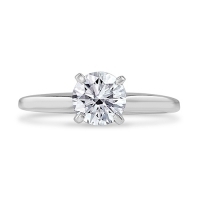 With the rise of e-commerce making diamond purchases have left companies incredibly competitive trying to position themselves as leaders in the diamond industry. Unfortunately, this can create some poor business practices taking advantage of people who don't understand the difference between simulant diamonds vs. lab-grown diamonds. 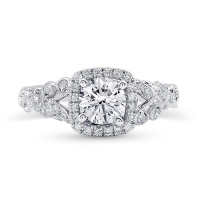 We thought we would take a moment to explain the difference between simulant diamonds vs. lab-grown diamonds so you can make the most informed decision about your future investment. 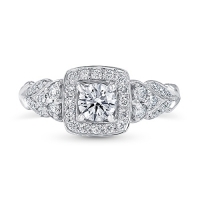 Diamond simulants have been around for decades and have graced some of the best costume jewelry and stage performances around the world. They certainly have their place in these spaces but they might not have a place on the finger of the person you’ll share the rest of your life with. Simulant diamonds tend to be artificial in nature and have visual characteristics of real or lab-grown diamonds. They may be cut geometrically to appear as real diamonds and even be set in the same type of jewelry settings. Simulants can be made of materials like high-lead glass, for instance, that you would find in rhinestones or the ever-popular cubic zirconia. Stones are rated on how hard they are using the Mohs scale of mineral hardness on a scale of 1 to 10. Real diamonds rate at a 10. Maybe you’ve seen a movie when the diamond exchange results in the buyer scratching a piece of glass with the diamond to ensure it is real. This is because glass hardness rates at around 6 making it a softer surface. Interestingly enough, as mentioned above, rhinestones are often made of glass. The glass test is rarely used in the diamond world as many materials or gemstones, yes and even simulants, can scratch the surface of the glass. 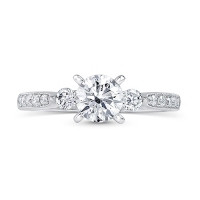 The only way to truly tell if you're dealing with a simulant is to have a professional gemologist inspect the diamond. The label of “lab-grown” doesn't exactly inspire romance. However, you might be shocked to know how much science and consideration goes into the lab-grown diamond. 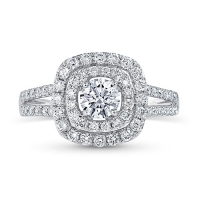 Lab-grown diamonds aren't just made, they are engineered for perfection. These specimens undergo quite a process in order to become a real diamond considering natural diamonds come from the crust of the earth. In order to get an engineered diamond, the maker has to replicate the conditions that a natural diamond would develop in. Natural diamonds are made of compressed carbon atoms that are arranged in a crystal like a pattern. 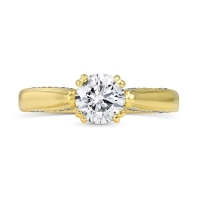 In fact, most lab-grown diamonds start with a tiny, real diamond fragment to achieve the same chemical makeup. As a result, these diamonds are nearly impossible to distinguish from their real, earth-born, counterparts. 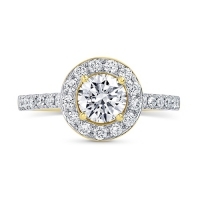 Simulant diamonds can complement lab-grown diamonds when you have a particular design in mind, or a size of diamond you would like to start with. Lab-grown diamonds are slightly more affordable than real diamonds making them a great option for many people. 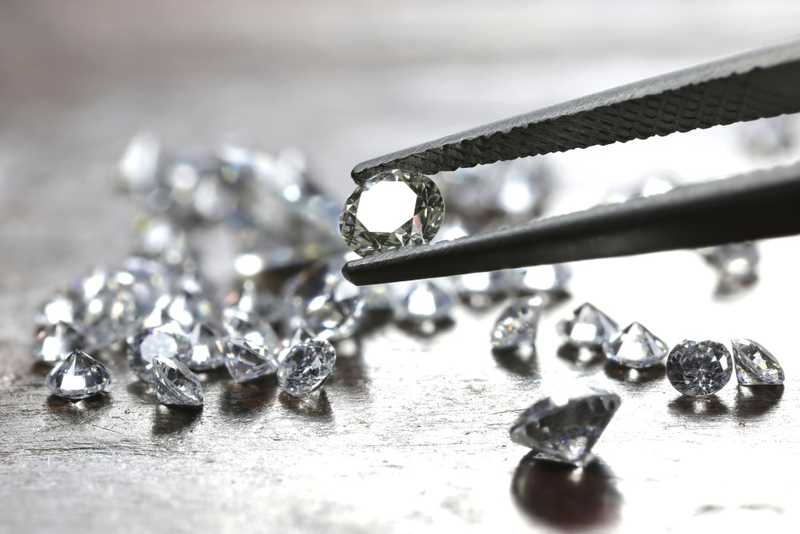 Simulants and engineered diamonds are more sustainable and create less hazardous or dangerous situations worldwide. 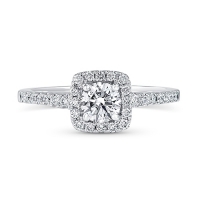 As you navigate the world of simulant diamonds vs. lab-grown diamonds please don't hesitate to reach out to our professionals to help you create something perfect for yourself or someone special. Knowing how a stimulant or engineered diamond can impact your purchase is powerful in the world of gemstones.